Happy Valentine's Day 2013! 20th Century FOX is going to be releasing the fifth Die Hard movie on Feb 14, 2013. It will be called A Good Day to Die Hard. It will be filmed in Russia...in January. Yuck...cold hard winter. 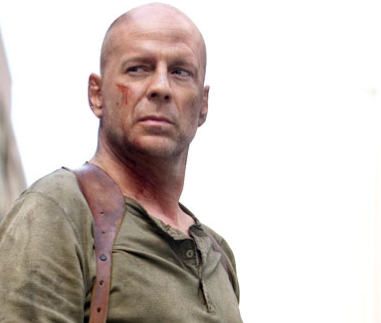 Yay, 80 year old Bruce Willis acting like a 29 year old youngster. Can't wait. Can't hardly wait!